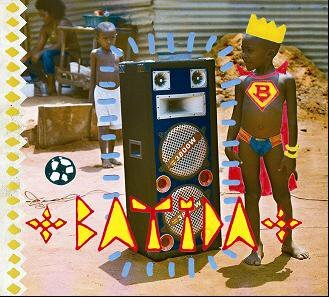 Batida, a Portugal based, Angolan born musician, samples Angolan music from the 70’s and mixes it with contemporary sounds. Accompanied with historical images and contemporary graphics, he manages to tell a powerful story with a very simple, graphic and groovy style. His story shows the colonial past of Angola and the struggle towards in-dependency. He combines this past with today through a mix that honours the original musical and the political power of music in the 70’s. His work is both critical and political – he’s a DJ of the future.